This entry was posted in Uncategorized and tagged biology, gerontology, health policy, medical ethics by Ted Goldsmith. Bookmark the permalink. There is a legend of the ‘Wandering Jew’ that speaks of a witness seeing Jesus halt while carrying his cross down the via Delarosa to his crucifixion, asked him, “Why are you tarrying here?” and was ‘punished’ by immortality, having to forever walk this weary world. 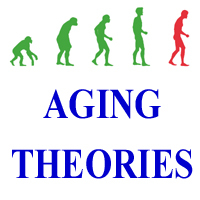 I have been teaching the ‘biology of aging’ for several years now, and my students pretty much agree with that attitude. The most commonly given recipe for what people would like, given their ‘druthers’ would be to live to be 100, in perfect health and physically capable and then die in their sleep. The continuance of life past a certain age is just getting more time than we know what to do with; as it is, we have innumerable ways of wasting time, from TV to drugs, because most people have more of it than they can already deal with. As we age and lose our powers we become caricatures of our former selves as once labile characteristics become set in stone as we lose plasticity; that was Jonathan Swift’s point in describing the struldbrugs, humans of Luggnagg who age but never die. So then what’s the point of delaying the inevitable unless you enjoy living so much or fear death so much? The happy resolution comes not from delaying aging, because as was said, that simply increases the time spent in ‘elder care’ facilities – all known agencies that extend life- caloric restriction, rapamycin, and various other chemicals that extend lifespan in say worms, do so by proportionately increasing all stages of post-adult development (which I believe is a better description of aging) including the senescent stages. That would incur great costs for society. No, the happy solution comes from a unique gift of nature, a loophole that works because aging is programmed such that rejuvenation is possible – unlike the non-programmed aging theories that equate aging with irreversible damage and loss – and also (as even most programmed aging theories posit) that aging occurs on the cellular/molecular level, more and more evidence points to the fact that aging occurs on the organismic level and that aging information is systemically delivered to (and from) cells, tissues, organs and organ systems to determine their age. This is shown by heterochronic transplantation studies – when transplanted tissues/organs come to resemble the age of their hosts and not their donors – and by heterochronic parabiosis, when ‘young’ blood’ has been shown to rejuvenate old animals at the cellular level. While there are some well known attempts to do this with humans here in the US, others are looking into the basic biology and finding that it is indeed the case that young blood does in fact rejuvenate tissues. This can no longer be a matter of dispute – it has been shown in labs the world over at this point. We (our group in Mumbai) believe that the results in humans are not up to what we would wish because there are still factors not taken into account- and that’s what we are doing. While other forms of life extension require extended senescence, rejuvenation does not. Even if rejuvenation did not extend life for a second (I dare say, even if it shortened life), everyone would want it, but the truth is that it is the first step on the road to immortality – the sort of immortality that you’d look forward to – those long journeys to the distant stars – man immortal in the Heavens – as promised though misunderstood. Here’s a question in simple logic – if aged tissue can be rejuvenated by signals carried by blood plasma, can its aging phenotype (the way it looks, behaves), possibly be the result of irreparable damage? I agree that there are all sorts of issues with lifespan extension. I think most people currently aged 100 and burdened by all of the physical and mental infirmities associated with that age might not wish to live longer. However a 100-year-old who was physically and mentally a 50-year-old might feel very differently! I think you agree that trying to prevent cancer or other deaths from age-related diseases in 40-year-olds is a worthy goal and in order to do that we need to understand aging. If aging is the result of a program, treating the program is likely to help 40-year-olds as well as 100-year-olds.